Black printed hour markers alternating between Arabic Numerals & indexes. Fine black printed minute track. 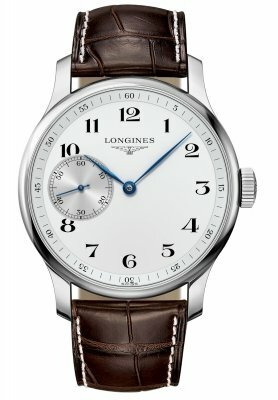 Small seconds sub-dial with tempered blued steel hand. Approximate power reserve of 43 hours.